Gold Coast is a coastal resort encompassing exclusive residences, hotel, yacht club and outdoor piazza shopping and dining area. Sino Group approached us to rebrand the 20 year old living and retail development, redefining it as a modern paradise away from the hustle of the city. We worked with key stakeholders to define what Gold Coast needs to stand to be defined again as one of Hong Kong’s most desirable destinations for living, entertainment and breaks from the city. 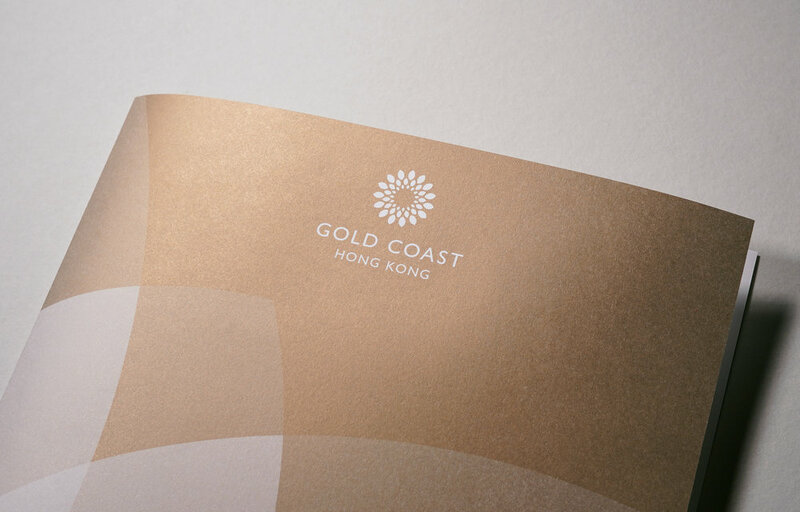 —The previous Gold Coast identity, introduced when Gold Coast Hong Kong was built in 1993, had become outdated. The branding consisted of a closely packed serif typeface which had not aged well, and a logo created from the outline of the hotel building. —Inspired by Gold Coast’s natural surroundings, we focussed on imagery of sunsets and flowers in bloom. 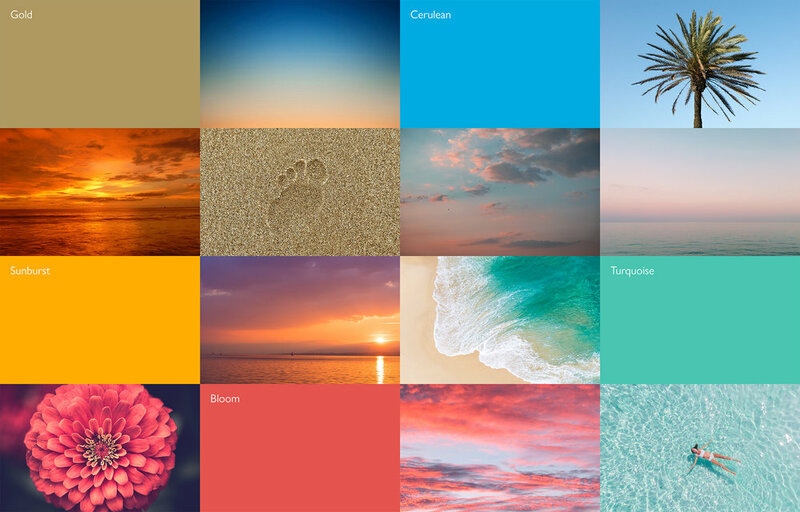 These images evolved into a youthful colour palette which was applied across the group sub brands. The icon is designed to be represent a flower in bloom. The logotype is a sans-serif stacked lockup, conveying a modern brand personality. We designed the Gold Coast icon to represent the location, surrounded by natural vistas and gorgeous sunsets. The icon is abstract enough to hold multiple visual metaphors, of nature and romantic ideas of a flower in bloom and the sunset. The identity uses a singular brand mark and a flexible stacked logotype that can be used across each of the Gold Coast brands; Residences, Yacht Club, Piazza and Hotel.